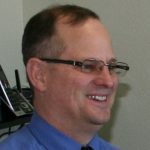 Backsmith Advanced Physical Therapy LLC Get Better Faster - Save Time and Money! Do You Have the Protective Joint Stability You Need? When I was serving in the Air Force in Europe I was taken by the beautiful historical monuments. Many of them were hundreds of years old. 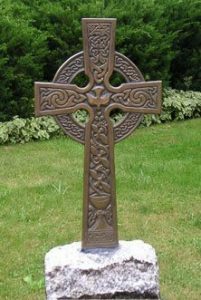 My favorite were the Celtic crosses. These are different than the other symbolic crosses seen in churches and gravestones; they have a circular ring portion connecting all the central parts of the cross. While the religious and artistic significance of the connecting ring is debatable, structurally it clearly provides supplemental support to the arms of the cross. The monument achieves a tremendously stronger design in comparison to regular stone crosses that do not have the connecting ring, allowing it to better withstand all the environmental elements such as wind, rain, etc. Likewise, having optimal support matters not only for stone crosses, but also for the movable joints which make up your body. Many people lack adequate functional support and stability due to weakness of the muscles surrounding their joints. Frequently this neurological weakness is directly related to spine restrictive tightness and muscle imbalances. Providing strategic, precisely targeted and effective supplemental support can greatly improve functional mobility, reduce pain, and reduce injury risk, yet too often in health care this is not recognized or adequately addressed. Our current thinking on the importance of this needs to be challenged, and new methods of training and treatment more widely adopted. Every major advance in science and in health care has been preceded by a change of thinking. Historically, new concepts which have merit have been initially ignored, later scrutinized, and finally accepted and appreciated by society once they receive quality research and public attention. 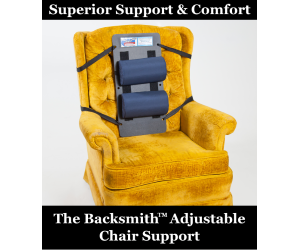 The concept and framework of care called “Backsmith™ Selective Stabilization™” is no exception. (https://www.backsmithphysicaltherapy.com/selective-stabilization-can-help-pain-instability/). So what is unique & different about this concept and why should it be pursued and researched at the cellular level? First, there is a growing body of clinical evidence that Selective Stabilization can improve strength, stability, and exercise tolerance often exceeding what strengthening exercises alone have been capable of. (https://www.backsmithphysicaltherapy.com/testimonials-backsmith-advanced-physical-therapy/ — https://www.youtube.com/channel/UCiqjFfKg6wgN_gBkCScfwKg/feed). Second, when used appropriately, Selective Stabilization can often very effectively help eliminate the need for some if not all pain medication. Third, Selective Stabilization adaptively changes the joint environment. It is often said that we are only as strong as our weakest link. In physiotherapy this is easily demonstrated to be true (check out the Backsmith Challenge). Such a neurological link between muscular strength and neurological function is consistently demonstrated in the spine and gait, and is a significant key to achieving optimal strength, protective joint stabilization, and descending inhibitory pain control. Consider the reality that both the spine (consisting of many joints), as well as other movable joints in the body are neurological containers. In other words, not only do the bones and joints provide mechanical support for the body, but have nerve pathways that run through and around them. As an analogy, having the right conditions for optimal neurological functioning is like living in a good neighborhood with low crime. Life is a lot more relaxed and enjoyable in a good neighborhood. In contrast, poor protective stabilization around a joint can be related to a high crime neighborhood with a lot of violence, insecurity, and fear. Tension and chronic inflammation (two physical reactions to conditions the body considers threatening) can lead to the “joint neighborhood” becoming run down and increasingly dysfunctional. To summarize, the environmental conditions around a given joint make an enormous difference in physical functionality and quality of life. Like a tripped switch, with abnormal spine mechanics one can find themselves with significant weakness often leading to mal-adaptive compensatory movements which can ramp up nervous system sensitivity, increase injury risk, and accelerate degeneration – which in turn leads to more of the same in a destructive downward cycle. Protective muscular stability is vital for joint health. Muscle weakness has been shown to be an independent mechanical increased risk factor for osteoarthritis (OA) and is consistently one of the early signs of OA (Riann, American Journal of Physical Medicine & Rehab Jul 2010). Research has shown us that a lack of muscular strength/stability around a joint frequently leads to accelerated osteo-arthritic changes. The take home message is that the protective environment in which a joint lives and functions matters. Far from being simply a concern for the aging and elderly however, better muscular protective stabilization around joints has also been shown to greatly improve performance among athletes and participants in all manner of sports activities. Depending on lifestyle, exercise alone often is not enough to provide the nervous system with the adaptive intervention it needs. A Doctor of Physical Therapy can put this in perspective and can utilize this innovative tool with skilled evaluation and treatment to produce improved patient strength, mobility and quality of life. Finally, the clinical framework of Selective Stabilization significantly reduces health care costs while improving patient outcomes. Good stability is good health care and is no accident!